Deb was born in St Louis, Missouri. Her father was a Teamster truck driver and her mother a cashier at the local grocery store. After graduating from High School, she earned a Bachelor of Arts degree in Political Science from the University of Missouri–Columbia. Immediately upon graduation Deb was commissioned as an officer in the United States Air Force, and was recognized as the Distinguished Graduate of her ROTC class. In 2004 she earned a Master’s in Management from Webster University. 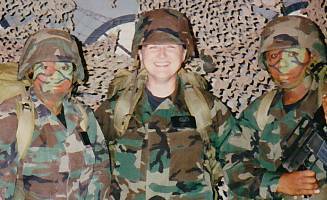 During her 20-year Air Force career, Deb served in a variety of assignments as a Logistics Plans Officer and an Information Manager. She lived all over the United States and in Iceland, and deployed around the world planning and conducting Air Force operations. Her favorite assignments included serving as the section commander of a Security Forces squadron and working with the U.S. Army to speed delivery of personnel and equipment to combat zones and disaster areas. Throughout her military career, Deb was known for her decisive leadership and her ability to plan and execute complex projects. She was recognized as Air Combat Command's Logistics Officer of the Year for 1999. Woman of the Year for 2013. During this time, Deb also worked on several candidates' campaigns for local, state and federal offices. Deb successfully ran for the Maryland House of Delegates in 2014, and proudly represented District 29B. As the chair of the St Mary's Delegation to the Maryland General Assembly, she was very effective at getting critical county-related legislation through the house and senate, and was the Deputy Minority Whip on the House Judiciary Committee. She also served on the Criminal Justice and Juvenile Law subcommittees, and on the Oyster Advisory Commission. She was widely recognized as the House of Delegate's champion for Second Amendment rights. Deb prided herself in helping constituents cut through government red tape; bringing environmentalists, watermen and aquaculture farmers together to find smart ways to manage our natural resources; and helping to reign in government spending and burdensome regulations. During her term, she was the only woman veteran serving in the Maryland General Assembly. 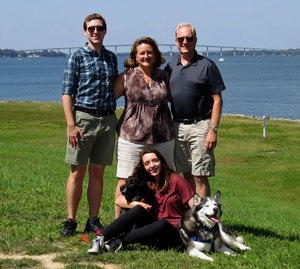 Deb's husband Jeff is an engineer at NAS Patuxent River. Her son is studying at Salisbury University and her daughter attends Leonardtown High School. Deb enjoys kayaking, target shooting and traveling. Military career-related information presented here does not imply endorsement by the Department of the Air Force or the Department of Defense.